Before I crash into bed. It’s been a long day. It’s been a long week for that matter. There are so many posts that I want to write about but so little time. I can’t wait to chat about gardening and what we did last weekend. Plus, today I got my library book about “Square Foot Gardening“! The other day my co-worker brought in for me the Rite Aid ad. I don’t usually get it in my Washington Post coupon section so I always check some of the other blogger sites that I like to visit to see about some of the good deals. The ad this week had some great deals including these “triple coupons”, which I had never seen before. My store was out of them the first day they said. 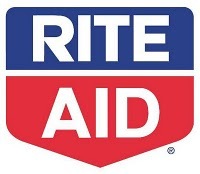 Then after looking closely Rite Aid currently has 2 promotions on allergy medication. Both of these promotions last for several weeks but this week looks to have some of the best scenarios to get some cheap or maybe FREE Zyrtec after coupons, rebates and sales. I know this is a little late since tomorrow is Saturday but for those that have your coupons well organized try and get some of these deals while you can. Remember you can ask for rainchecks if they are out of something. Check out ThisBeautifulFrugalLife and Bounty and Savings for all of the scoop. I also got the NeilMed Nasal Cleaner for $6.99 after using a $3 Adperks coupons and it qualifies towards the #552 rebate. I had bought the Neil Med Sinus and I just learned that if you are fan of it via facebook you can get a $5 rebate and $3 manufacture coupon combine that with the Rite Aid Ad perks $3 and it will be FREE! Good News! It looks like the $18.99 price for the Zytec will continue this week and there is a NEW Zyrtec 25 ct coupon for ANY Zyrtec in the 4/11/10 RP insert. You can take advantage of the transactions I mentioned above still.